We are delighted to include excerpts from the latest Alain Elkann interview. Mr Elkann, a long time friend and kind customer of the bespoke shop, talks to another great champion of craftsmanship, Robin Lane Fox at New College, Oxford, where Robin is the Garden Master. The interview focuses on gardening as ‘a process that goes on all your life’ and on gardening across the world. Robin has written for the Financial Times every week for 47 years and is the longest running gardening columnist in the world. He is also a renowned English classicist, ancient historian. 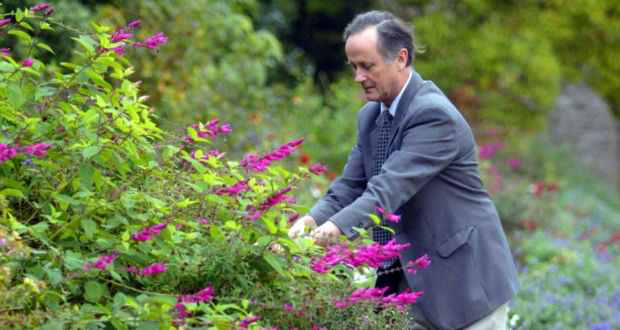 At the University of Oxford he serves as Garden Master and as Extraordinary Lecturer in Ancient History for both New and Exeter Colleges. The full interview can be read on Mr Elkann’s site alainelkanninterviews.com. What has changed in British gardening since you started your column in 1970? Many things. One big change is that some of the most brilliant amateur gardeners in Britain were women, but now women have careers and work full time. Secondly, the price of houses is very high, so nobody can afford to buy a house and plant a garden very early in life. Third, a technical thing: plants sold in black plastic containers now means you can buy them all year round. Is having a garden less work nowadays? In the 1950s and 60s everything had to be labour saving, with gardeners disappearing and the cost of labour very high. People planted massive great drifts of ground cover and had ghostly pale gardens. This changed in the 1980s when people started spending much more on their gardens. Garden design became a career that women could take up, and everything went into reverse. People were encouraged to think that they wanted very highly coloured extravagant gardens, a fashion which is only now ending. TV makeover programmes came in with great power, and started a complete delusion. A group of keen young workers would transform the garden in a week and fill it with plants, often in the wrong way and at the wrong time. The impression was that you could make a garden like putting down a carpet, but gardening is a process that goes on all your life. People were disappointed by what they copied off the television, what I call “exterior decoration. 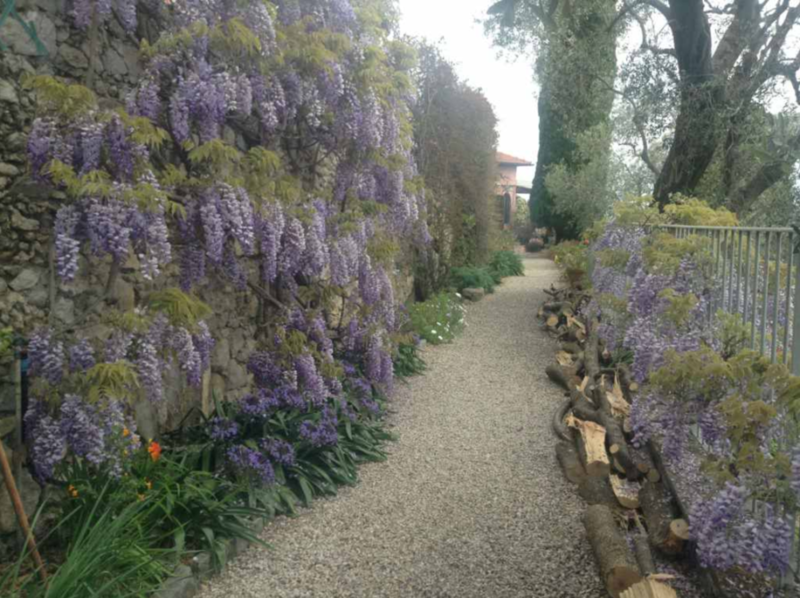 Why did you recently write an article in the Financial Times on the Hanbury botanic garden at La Mortola, which is in Italy near Ventimiglia? It is a garden with a major history, and a well-crafted approach can be made to the EU for a really serious grant to bring the garden back to what we know was there. It has an amazing story of tremendous friends of Italy – the Hanbury family – of China, of visiting English women, and then the rescue by Genoa University when it had fallen into unfortunate condition. Where did you train to garden? I trained in 1965 in the outstanding Botanical Garden in Munich. 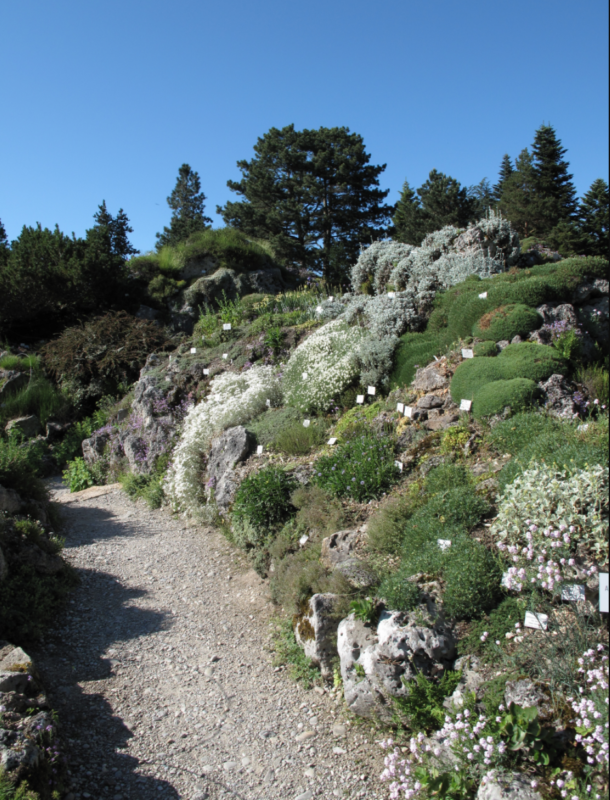 The world famous alpine gardens had a staff of 78 and the head of the garden was Wilhelm Schacht. He had been the personal gardener to King Boris of Bulgaria before the war. Schacht was one of the greatest men I have ever known. What causes the differences in gardens across Europe? The climate, the taste, and the fashion. Germans who live close to the Bavarian Alps are very ‘green’, so they are inclined to have marsh and steppe land in their gardens. Around Naples they are brilliant growers of highly cultivated small plots of land and are very good at pruning vines, citrus fruits and olives. Among Italian botanic gardens Palermo is great, Florence is a difficult site, Padua is famous historically. In Spain the climate is very difficult, but in Galicia there are good gardens. In France there are botanic gardens like Lyons, Dijon or Bordeaux.